HeyPlantMan! 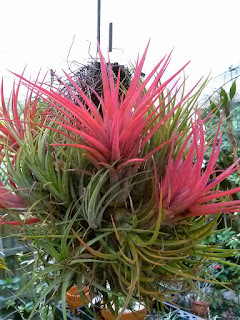 Exotic Tropical Plants from St. Pete FL: August Happenings ! Greetings all, and welcome to August Happenings. The Plumeria Pudica at left have been blooming their hearts out and quickly sold out at market, but we have a new crop ready to go for you, in buds and blooming ! 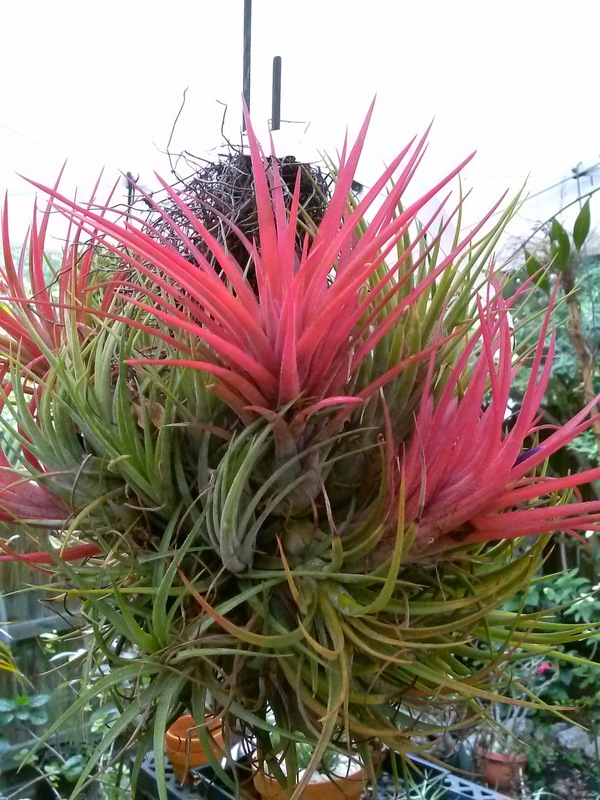 We have some new Tillandsia Ionanthus Clumps that are gorgeous ! Our Red Button "French Kiss" Ginger continues to be one of our most popular plants at market this summer. They are loving this heat and don't mind it a bit. Prolific bloomers, they can be a great in-ground plant or excellent container planting. 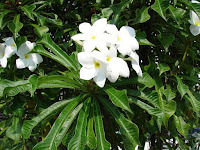 They can stand full sun but will tolerate and do well in part shade too. Our Pink Quills continue to be very popular too. One of the easiest plants around, this member of the Bromeliad family is a great starter plant for all you "brown thumbs" out there ! The quills produce a deep purple bloom that smells like cinnamon. Our Butterfly Wing Plants continue to be a crowd pleaser and they too, don't mind our heat and humidity. We are growing ours in morning sun (about 6 hours) and they are doing great. We have some new specimens for Indoor/House/Patio/Offices, which are White Bird of Paradise & Fiddle Leaf Ficus. 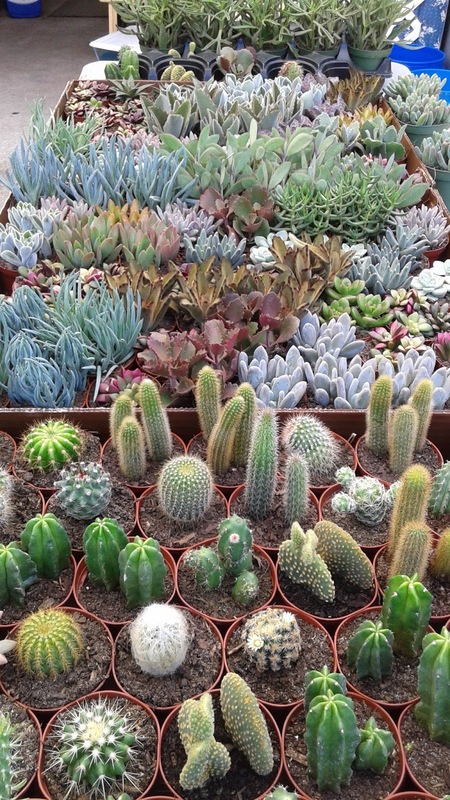 And our mini succulents continue to be on sale 4 for $10 ! Don't forget, this is the last month of Summer Market at Williams Park, and the Market will continue to run through Sat. August 27th. Come September, the Market is on break until the beginning of the new season Sat. Oct. 1, when we will be back at Al Lang Parking Lot. The first weekend of October also brings the annual Fall Plant Sale at the beautiful Tropiflora Nursery property in Sarasota, so stay tuned for details about that. 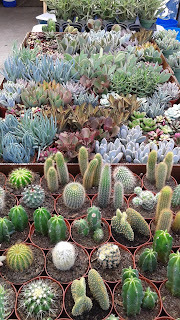 For this last month of August, we are running special sales on many of our plant stock items as we continue to clean out and organize and get ready for the Fall season. You will find many items at 25-50% off, so come check them out !